ST. LOUIS --A federal judge has approved an agreement between the city of Ferguson and the U.S. Justice Department aimed at improving policing and courts in the St. Louis suburb where Michael Brown was killed. U.S. District Judge Catherine Perry issued her ruling Tuesday after a public hearing of several hours in St. Louis. More than two dozen people spoke, and many others submitted written comments. "I think it's in everyone's best interest and I think it's in the interest of justice," she said. Ferguson has been under scrutiny since 18-year-old Brown, who was black and unarmed, was fatally shot by white Ferguson police officer Darren Wilson in August 2014. A grand jury and the Justice Department cleared Wilson, who resigned from the police force in November 2014. A separate Justice Department investigation found racial bias and profiling in Ferguson's criminal justice system, prompting the settlement. That inquiry found alarming patterns of racial bias in policing and a municipal court system that generated revenue largely on the backs of poor and minority residents. The Justice Department's critical report in March 2015 prompted the resignations of Ferguson's city manager, police chief and municipal judge. All three were white men who have since been replaced by black men. The settlement calls for the hiring of a monitor; diversity training for police; purchase of software and hiring of staff to analyze records on arrests, use of force and other police matters; and outfitting all officers and jail workers with body cameras. Mayor James Knowles III told Perry the city believes the agreement "is an important step in bringing this community together and moving us forward." Vanita Gupta, head of the Justice Department's Civil Rights Division, said in a statement that the agency looks forward to working with the city "as it implements the decree and continues the essential work to create a police department that the Constitution requires and that residents deserve." Ferguson leaders and Justice Department officials spent months negotiating the settlement. But in February, after a series of public hearings, the City Council rejected it, mostly over concerns the cost could bankrupt the town. The Justice Department sued the next day. In March, after receiving some assurance that the cost wouldn't be as high as feared, the City Council approved the deal, expected to cost about $2.3 million over three years. Christy Lopez of the Justice Department said the agreement isn't perfect, but it will help Ferguson residents. "We want Ferguson to be known for how it responded to this crisis," Lopez said. "How it came back stronger than ever." At the hearing, Felicia Pulliam, a black Ferguson resident, said city officials' continued denial of Ferguson's racial problem makes her wonder if they will take the agreement seriously. "They can't be trusted," Pulliam said. "They never, ever, tell the truth." John Powell, a white Ferguson resident, told the judge that "stubborn and pervasive racism" exists in the St. Louis suburb. But other speakers said the Justice Department investigation was biased in favor of protesters while overlooking reforms the city already made. "I think the DOJ wanted to wipe Ferguson off the map," resident Jean Boettcher said. "This should be a warning to the rest of the United States." Ferguson "is not a racist community," resident Billy Tucker said in written comments. "We are one of the most integrated, diverse communities in the Midwest." Among the comments submitted to Perry, resident Keith Rose suggested changes to allow for more civilian oversight and greater transparency and accountability. Debra Kennedy, who is black, said she doubted the settlement would do any good and wondered why police supervisors "who have been ignoring our community's complaints for decades are suddenly going to start abiding by their policy manuals simply because the Department of Justice says they will." 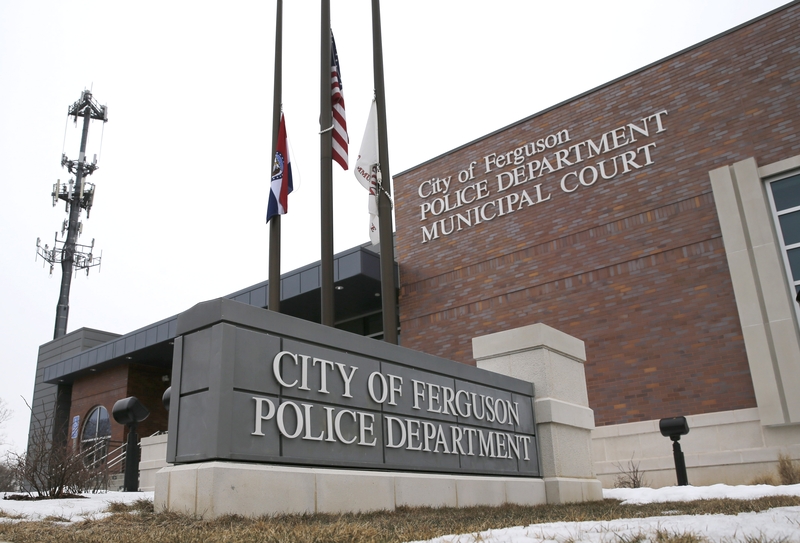 Others said the federal government shouldn't meddle in Ferguson's business. Kelly Schlereth, who has lived in Ferguson for more than two decades, wrote that the Justice Department is trying to make up for not finding cause to criminally charge Wilson. "The DOJ has consistently been biased in their investigation into the practices of the Ferguson police department," Schlereth wrote.